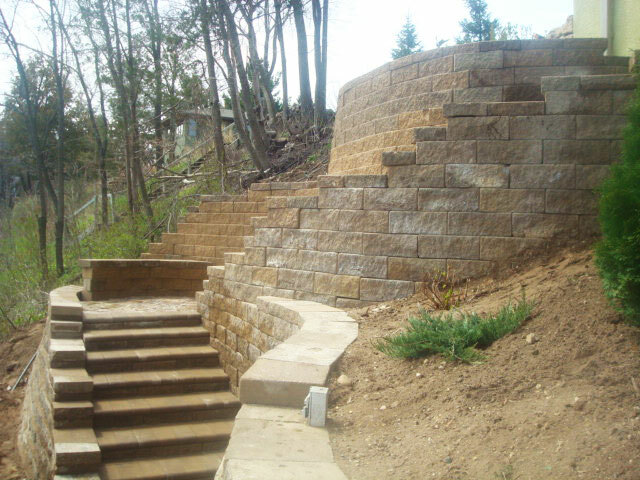 The natural look of a stone or boulder retaining wall or the architectual look of a segmental retaining wall will serve a necessary purpose on your property as well as be a beautiful and valuable addition to your landscape! 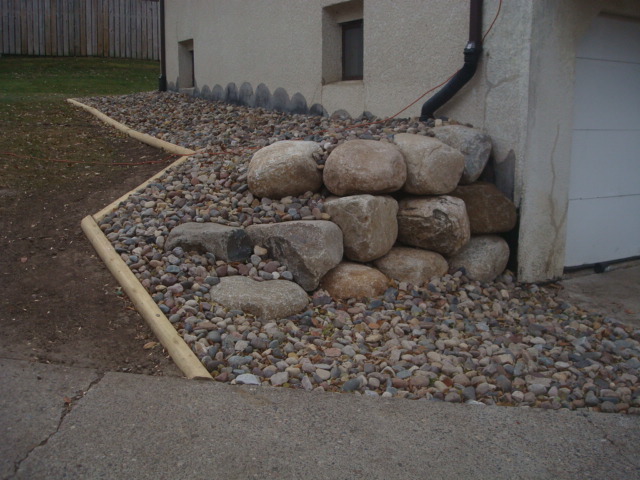 First things first though when installing such a necessity and asset as a retaining wall. 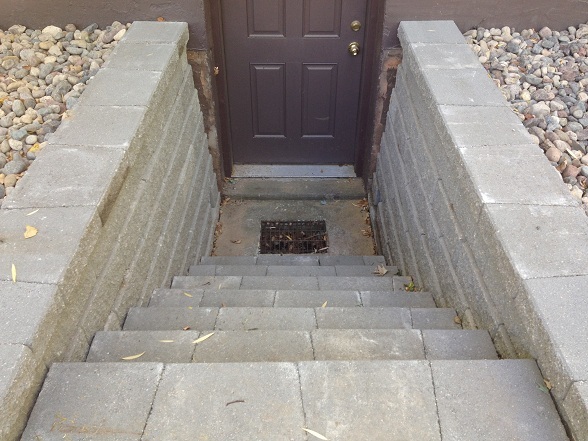 First we need to visit your site and evaluate the site requirements for retainage and determine key elements such as load bearing, access and drainage. 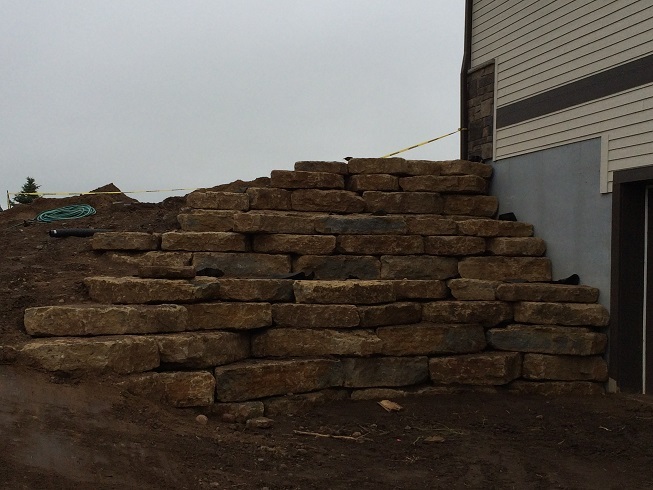 This likely will require taking site photographs and elevation surveys in site specific locations by taking grade shots. 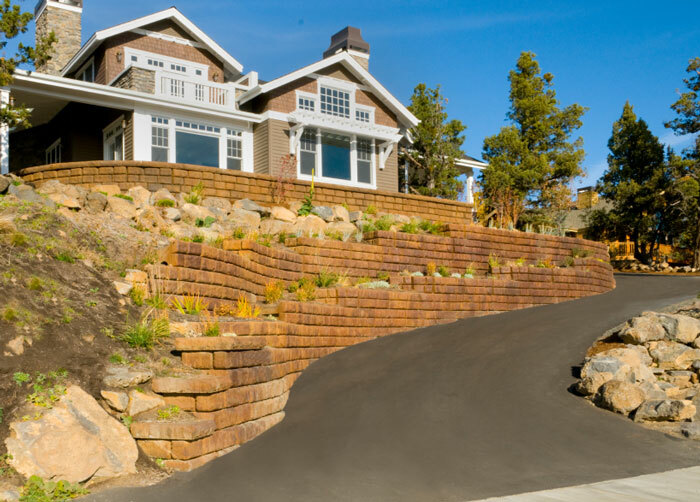 Once the fundamentals are determined, we are eager to consult with you about your preferences and discuss with you the options you have for retainage. 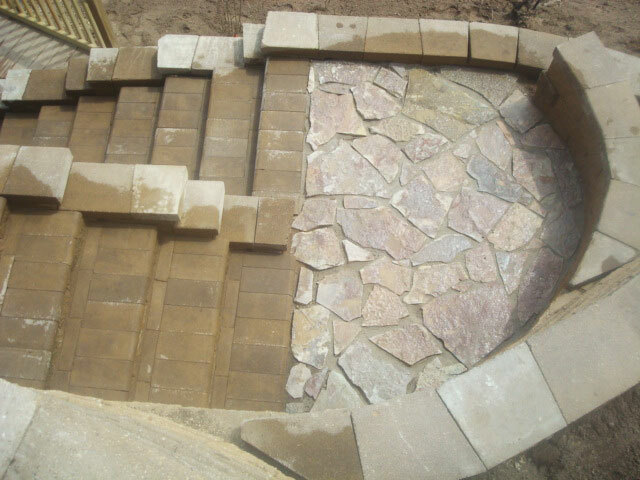 After answering any questions you may have and making suggestions based on expertise and experience, we'll be ready to design and build! 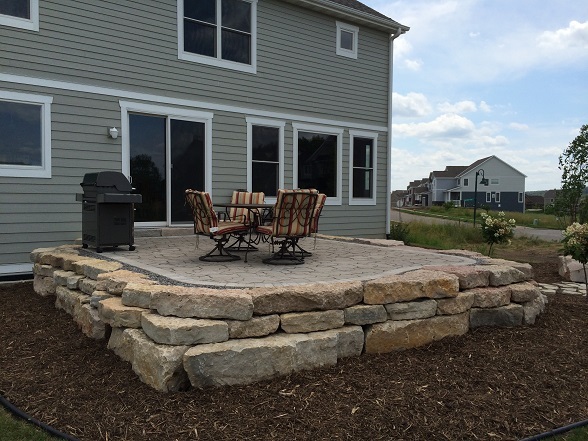 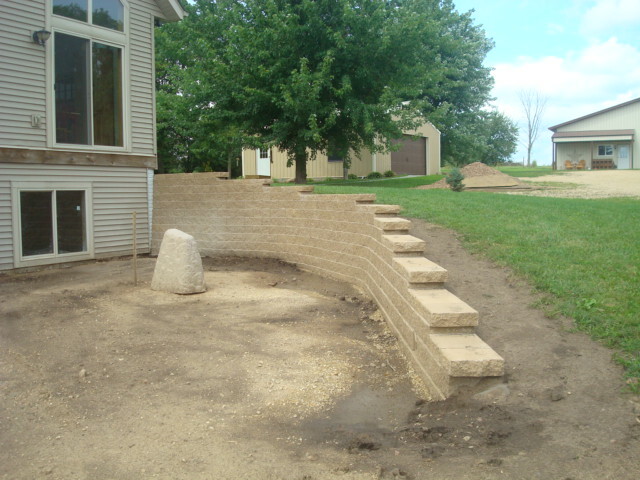 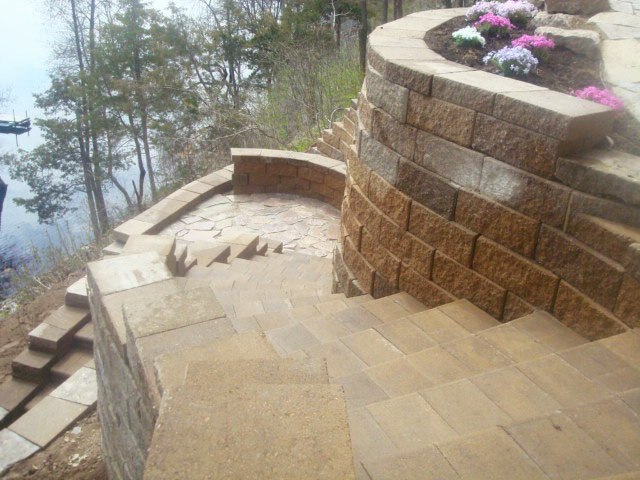 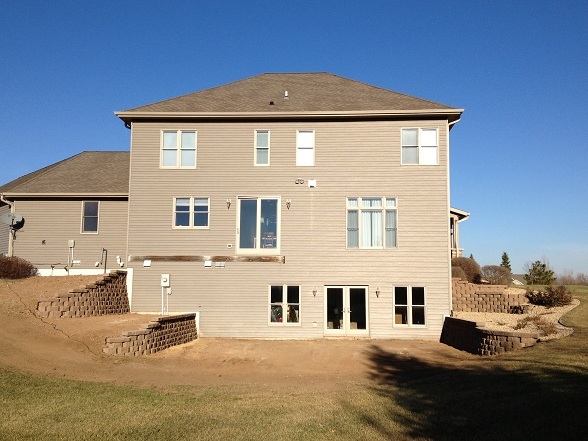 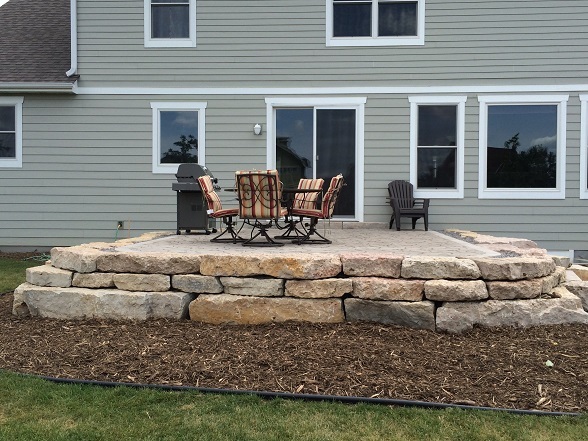 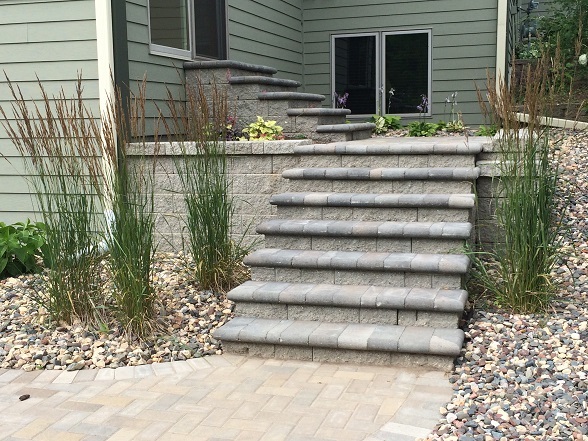 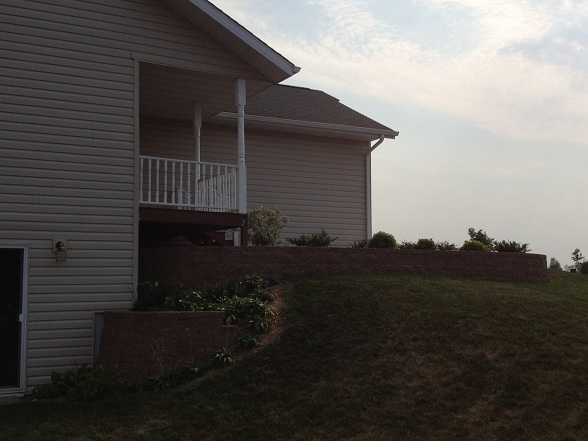 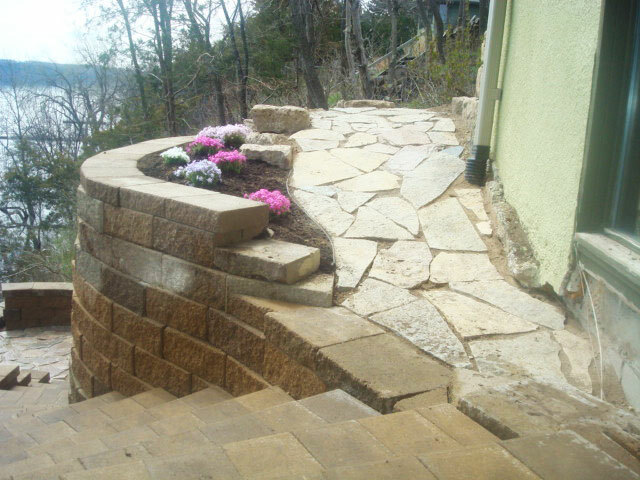 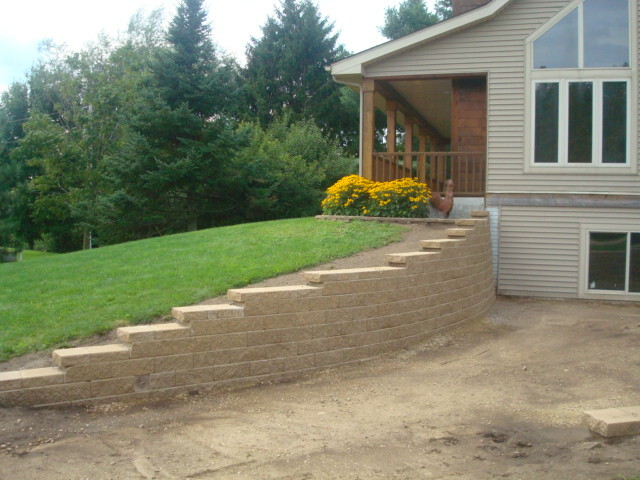 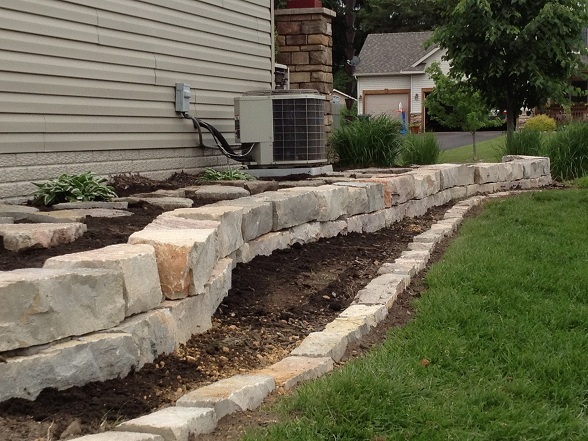 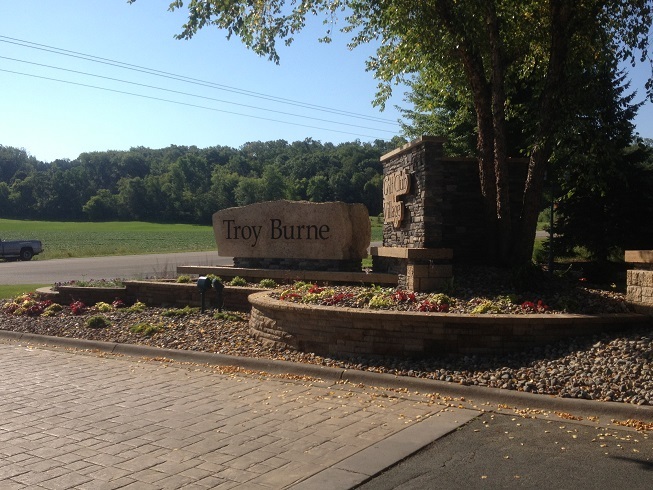 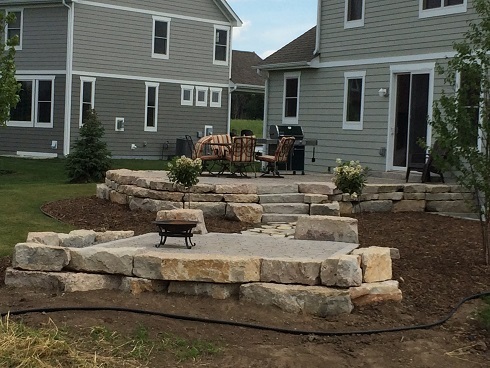 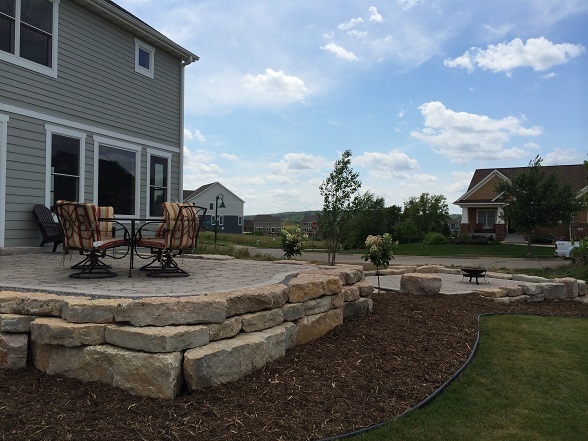 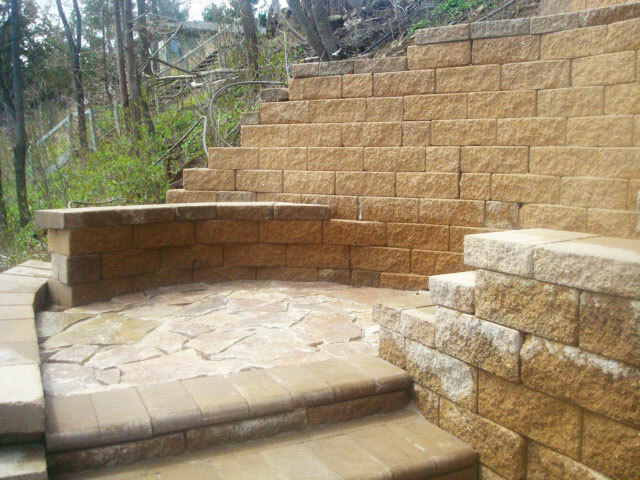 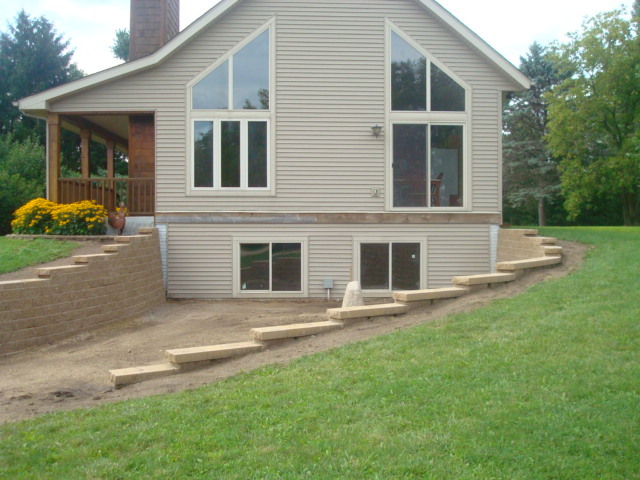 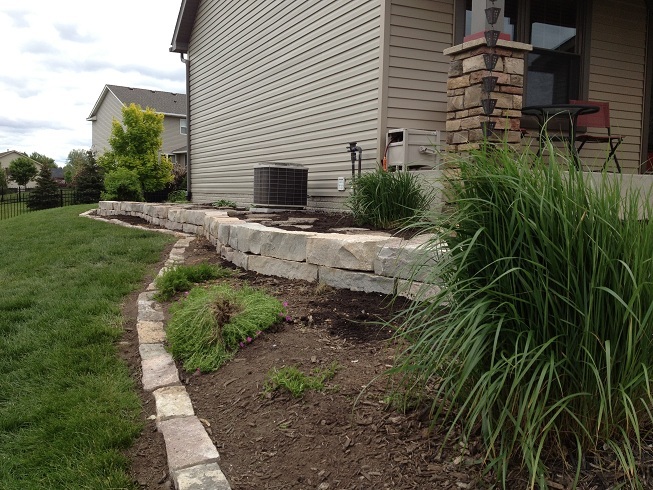 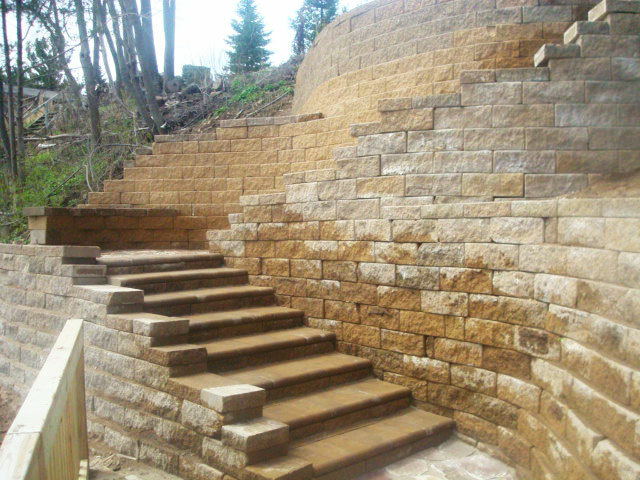 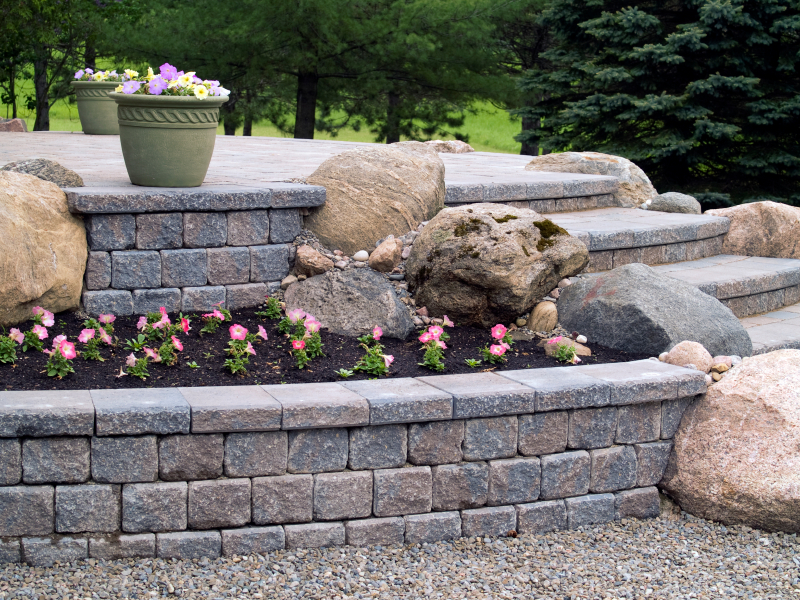 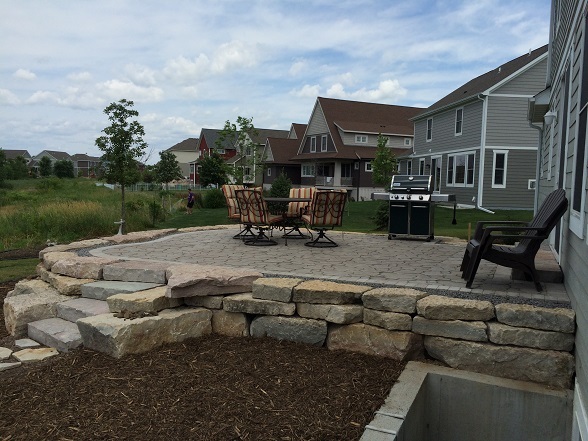 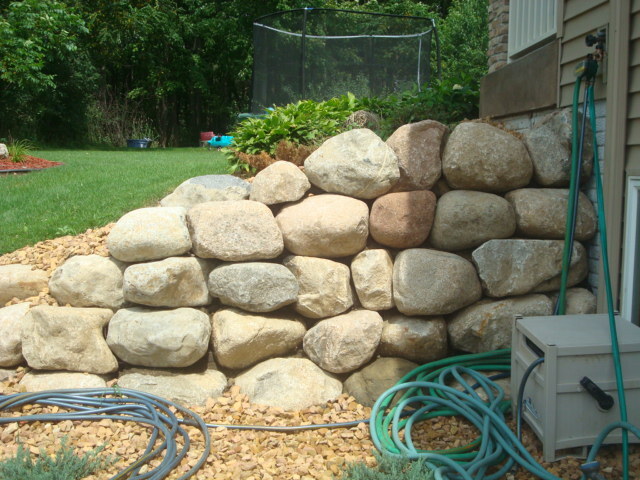 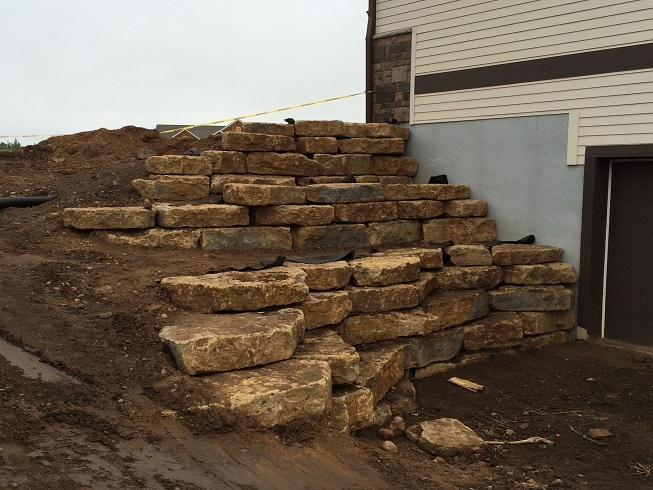 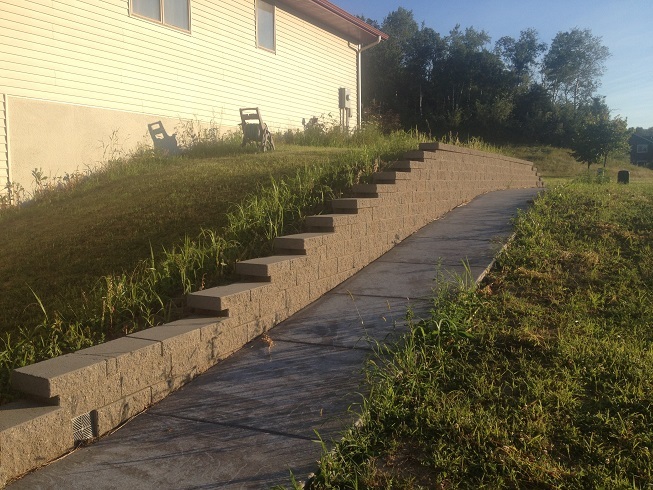 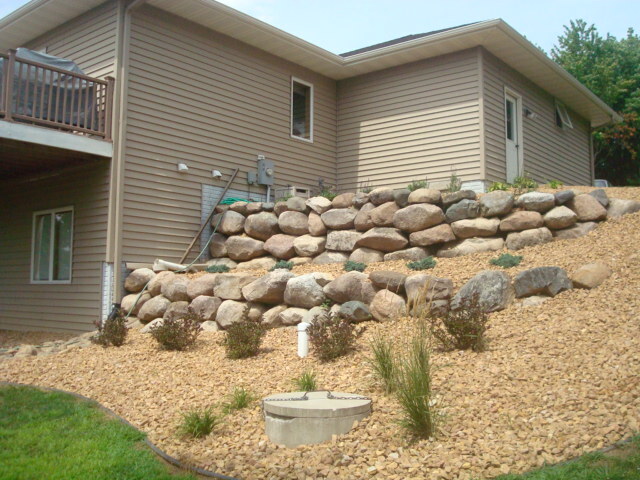 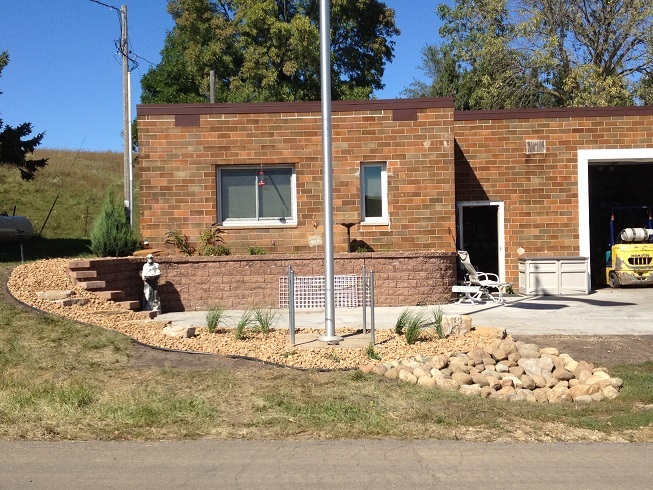 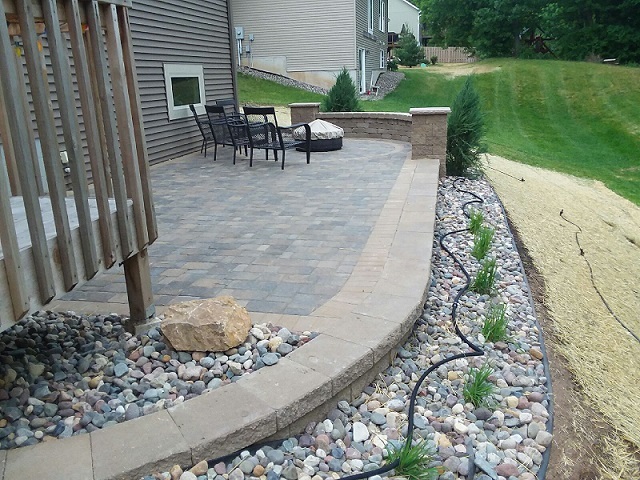 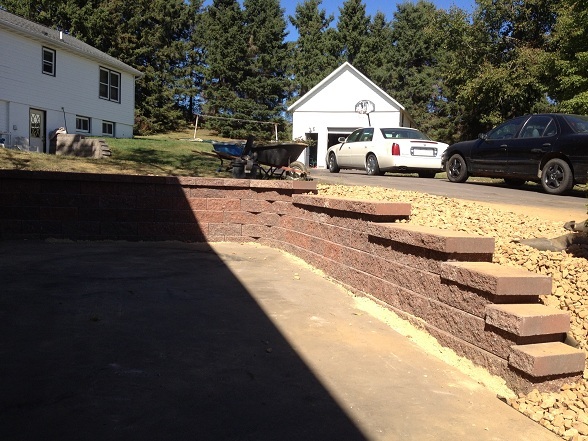 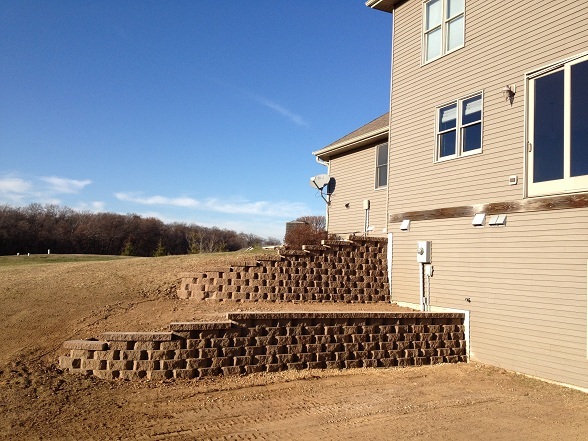 The Boulder Hills Landscaping Company in River Falls and Hudson Wisconsin is NCMA certified to design and build retaining walls for residential and commercial requirements. 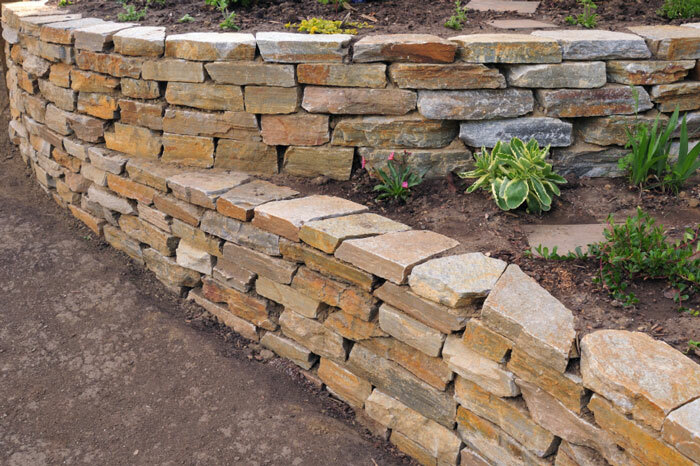 This is important because you need to know your wall will not fall! 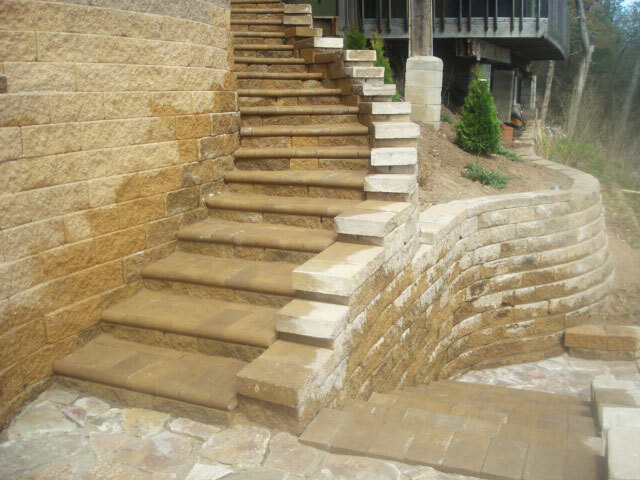 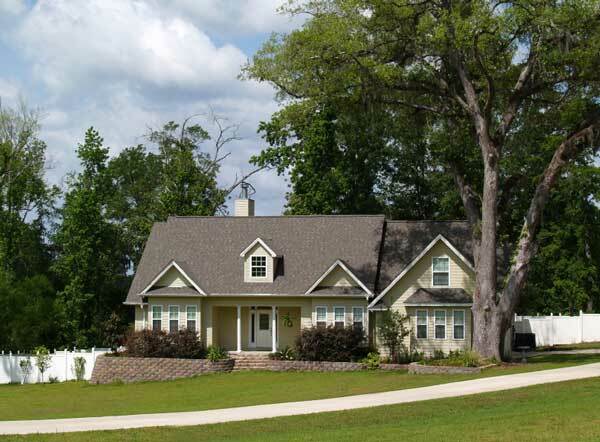 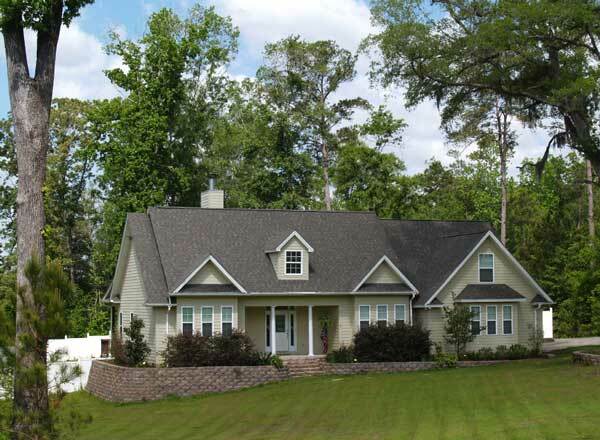 We do not take short cuts that will leave you dissatisfied many years down the road. 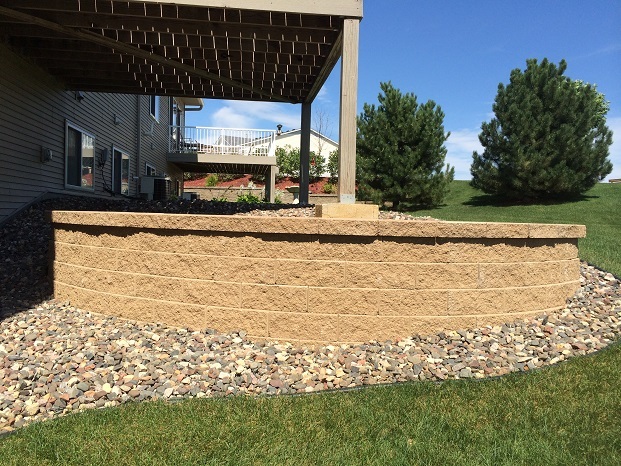 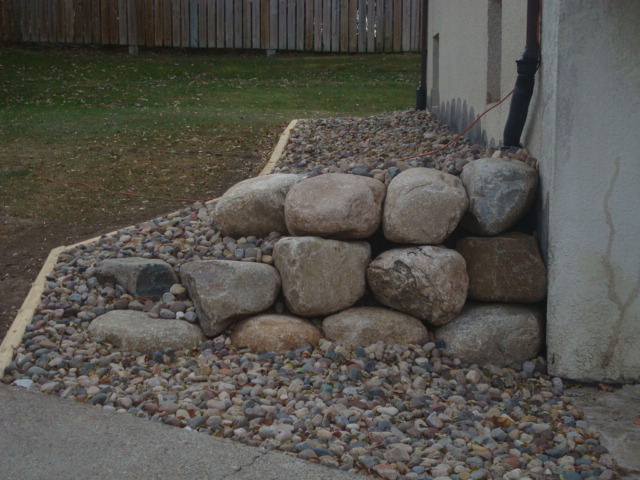 With a Boulder Hills Landscaping retaining wall you can be rest assured the proper wall material, base material, compaction, back fill, barrier securement and soil reinforcement has been used to guarantee the integrity and appearence of your wall to last. 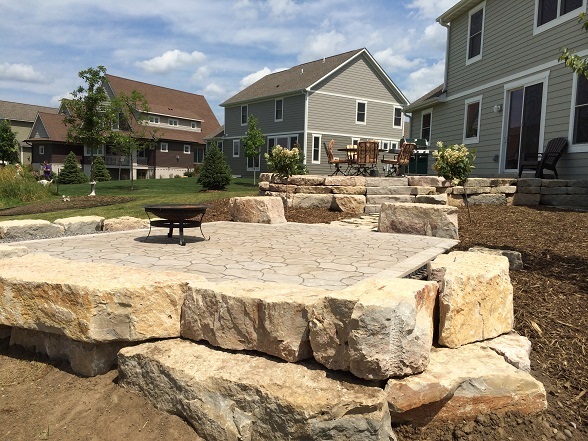 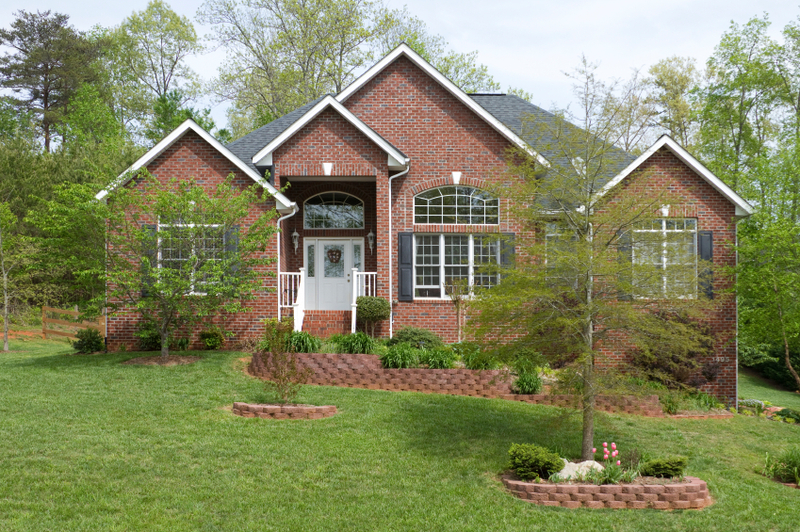 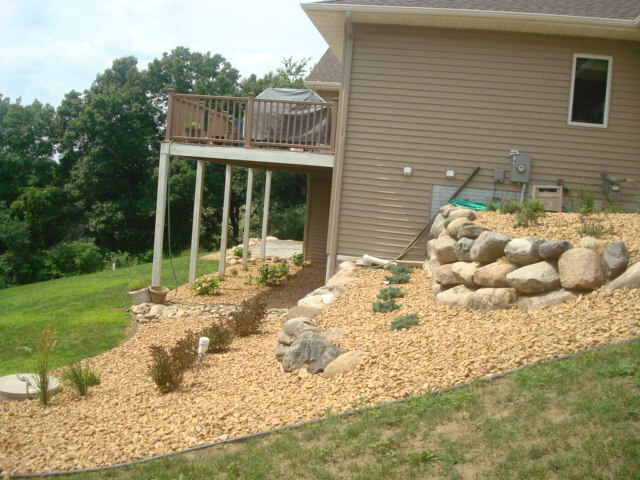 The Boulder Hills Landscaping Company in Hudson and River Falls has the top quality products and expert installation team to fulfill your needs! 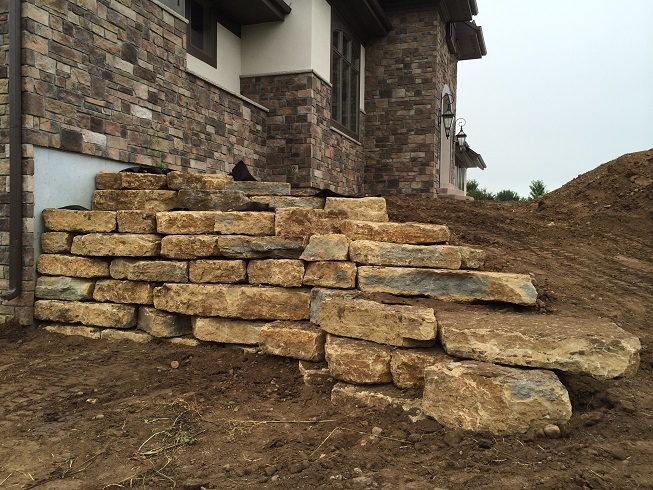 We just have one question... will that be stone or block? 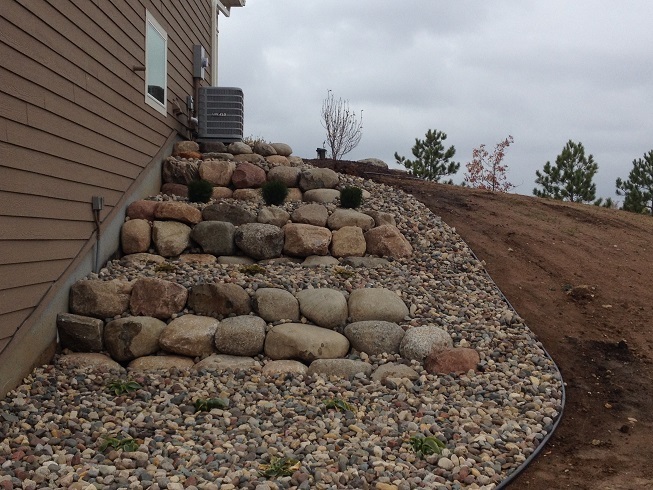 Invite a Boulder Hills Landscaping designer for a free, no pressure consultation today to discuss your needs and preferences.